Many people think about hiring professional cleaners from time to time, but if you are ready to start deciding which professional cleaning service you are going to hire, you need to consider your options carefully. 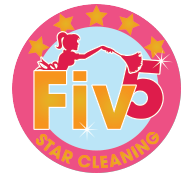 Whether you are looking for regular residential cleaning services, move-in and move-out cleaning services, seasonal cleaning, or deep cleaning, or if you’re getting ready for a special event, you want a service that will do a good job at a reasonable price. You also want to find professional cleaners you feel comfortable having in your home or business. Keeping your home or business clean is good for you, good for your employees and customers, and good for your family. Not only does it reduce the spread of germs and allergens, but people also enjoy being in a clean space more. Ask for referrals: Talk to past clients to find out what their experiences were. Check the service out online: Look at reviews and comments online. Check the Better Business Bureau for complaints. Evaluate communication: Expect your cleaning service to promptly respond to phone calls and emails. If you aren’t happy with the communication, look elsewhere. Assess personnel: Are the cleaners well-trained, likable and good at what they do? When a professional cleaning service is a well-planned, organized business, the difference is clear. Every staff member should have clear training. The staff should meet on a regular basis to share client preferences and any issues that have come up recently. This organization allows a cleaning service to provide a superior experience for their customers.